What fun decorations for a baby shower in Marietta, GA! 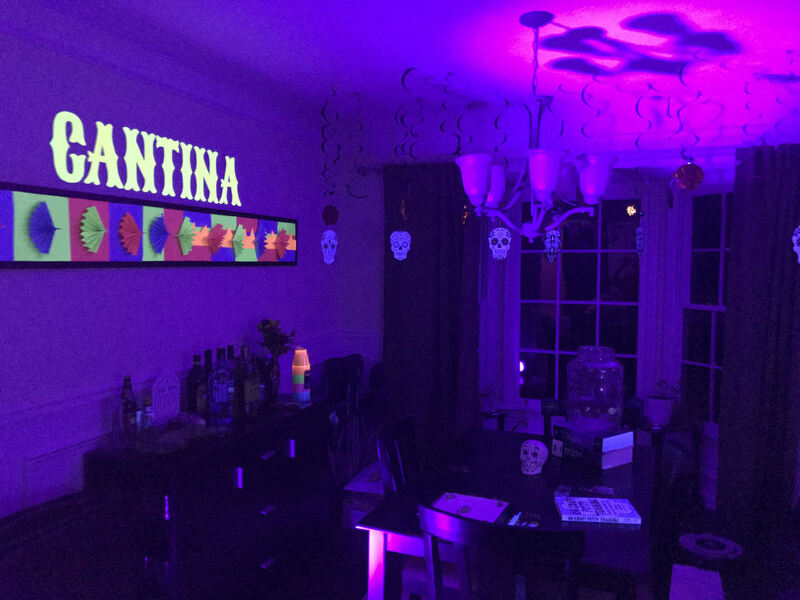 They rented 7 of these Black Lights to help with the spooky halloween themed effect. 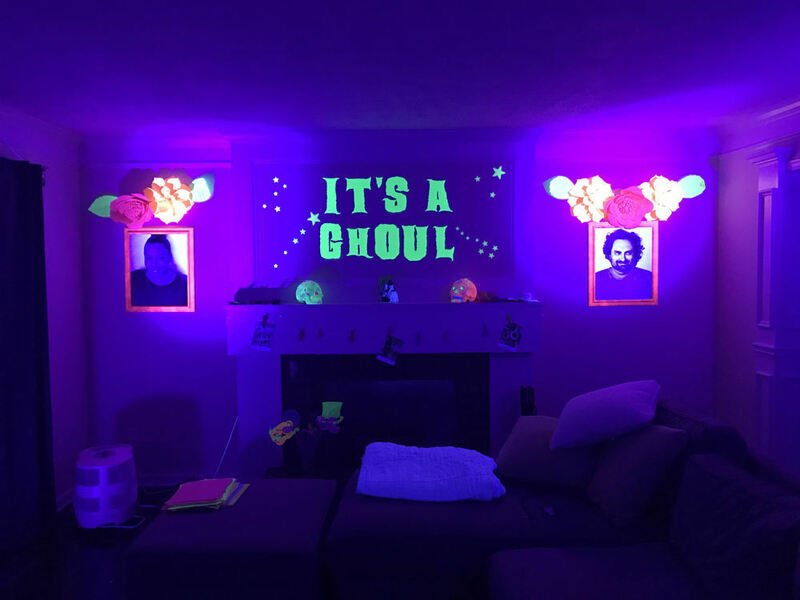 Black lights take advantage of an UltraViolet (UV) LED bulb to give off a glow in the dark look. 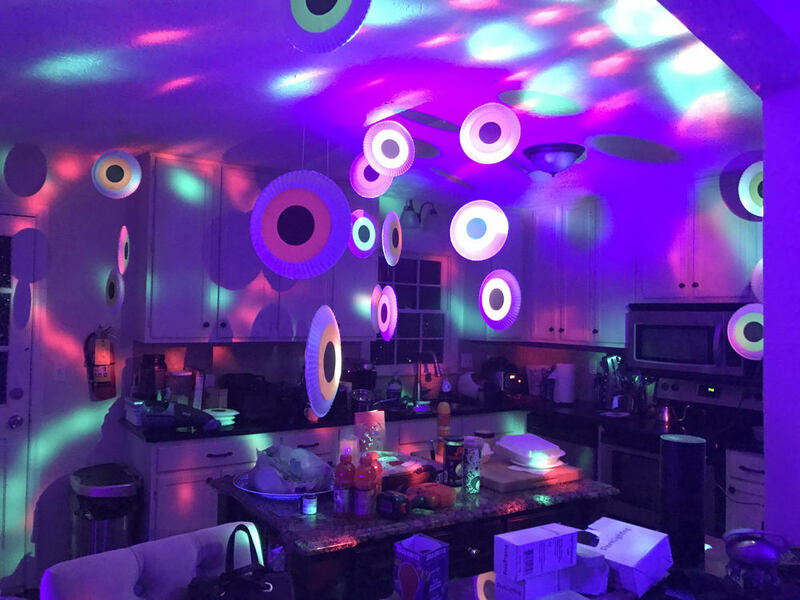 They work great in any room ranging from a baby shower in a house (like in these photos), to a school dance in a huge gym. Plan for about 1 black per every 100 square feet you want to glow!